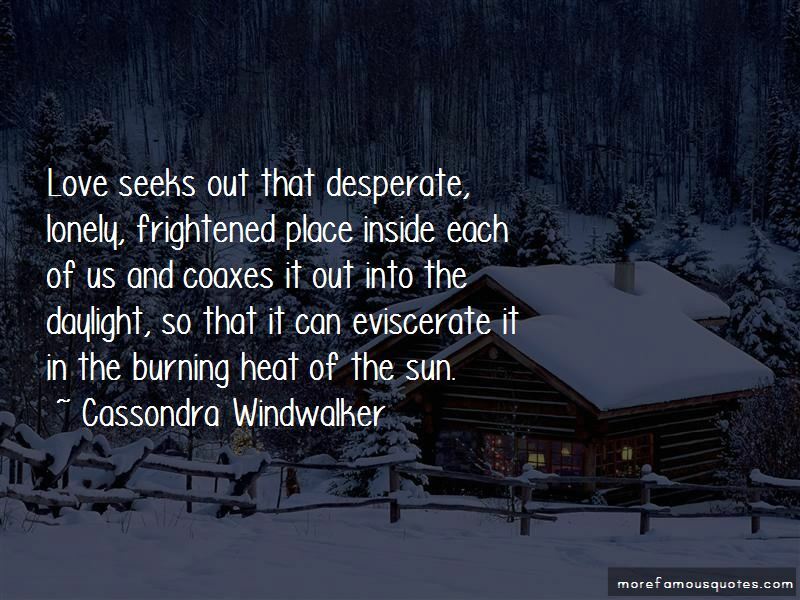 Enjoy the top 1 famous quotes, sayings and quotations by Cassondra Windwalker. Love seeks out that desperate, lonely, frightened place inside each of us and coaxes it out into the daylight, so that it can eviscerate it in the burning heat of the sun. Want to see more pictures of Cassondra Windwalker quotes? Click on image of Cassondra Windwalker quotes to view full size.